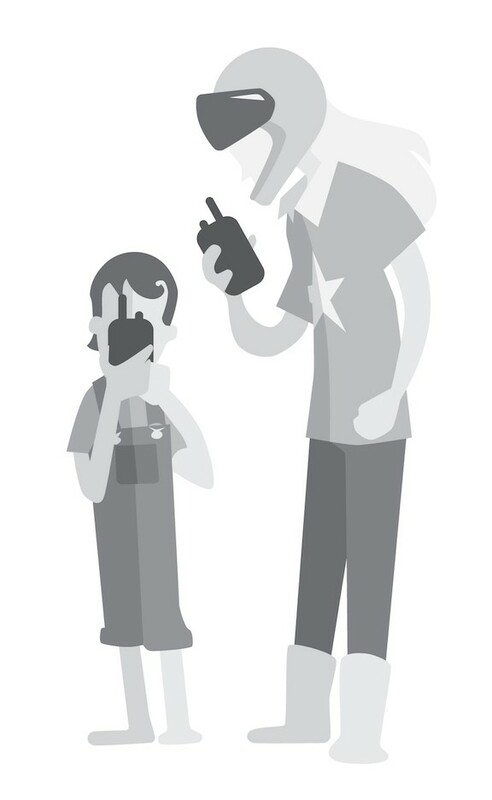 Illustration: Jonathon Juvenal for the Product Leadership book. How to develop team talent and mentor a product team. 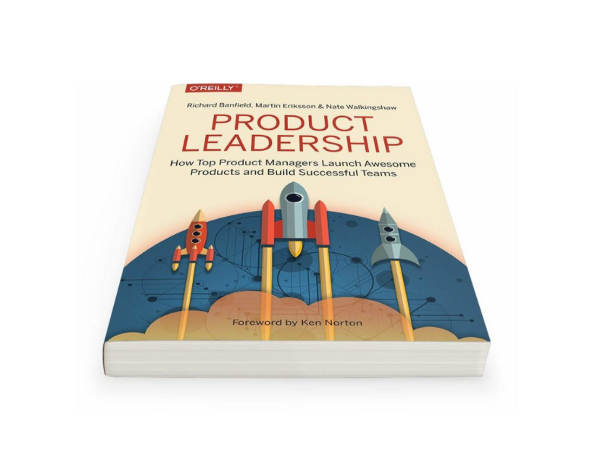 This article is a collection of excerpts from the book Product Leadership: How Top Product Leaders Launch Great Products and Build Successful Teams, to be published by O’Reilly Books in May 2017. Smart leaders at successful product companies agree that people are their greatest asset. “Don’t forget that people make the stuff. Relations make the bigger stuff. Get the relations and people part right, first. The rest will follow.” Says design guru John Maeda. In the world of software creation there is hardly a single thing that can be compared to the potential of great talent as a predictor of success. Unlike traditional engineering industries there are very few hard assets like machinery and inventory to evaluate. Almost all value in the creation of modern digital products is the result of human efforts. Time spent planning, discussing, designing, coding, selling and marketing brings these products to life. Sure there are the computers, cloud-services and physical offices needed to enable these activities, but they are all commodities and very rarely strategically critical to the success of a product. The challenge for product leaders is to be able to guide their people in a way that is both valuable for the company and for the individuals involved. We dislike the idea of humans as resources. They are not inventory. They are a company’s greatest asset and should be treated accordingly. Taking responsibility for your team’s growth is a requirement for a product leader’s success. It cannot be outsourced. Much like the processes of designing and developing product, the nurturing of product team talent is in flux. There is no generic solution to all organizational challenges in this regard but there are some best practices. One of the best practices is Directed Discovery and it’s emphasis on people over process. Directed Discovery embodies human centered product and design principles where the user breaks the tie. A big mental adjustment for many product leaders coming from a process intensive background like Waterfall or even Agile is the shift from a process to more of a work style. The distinct difference with Directed Discovery is the team is completely autonomous. Accountability is built into the work style. Directed Discovery allows the team to see themselves in a very objective way. It allows a team to clearly see their confirmation biases by involving the entire team in writing discussion guides, interviewing, building prototypes, iterating, writing code and shipping a product with analytics built behind it to measure whether the teams qualitative research actually met the desired outcome. However, the best approaches are not overly structured but rather a scaffolding that provides guide rails while allowing flexibility. These frameworks are not rules but rather a set of principles that give leaders the foundation to implement their own growth models for their teams. The ideal framework provides structure for daily decision making while still allowing for spontaneous or opportunistic adjustments. Even when you have a clear vision and a strategy to get there, it’s good to know you can course correct when the right opportunity comes along. At Fresh Tilled Soil we call this work in developing the careers of team members ‘designing careers’. Applying design or product thinking principles to one’s own life is both fun and satisfying. The first thing to recognize is that very few leaders are having the growth and development conversation with their team members. It’s surprisingly rare to see product leaders take the initiative in designing their team’s careers. Simply having these conversations will set a good product leader apart from the rest, and although the conversation alone won’t maximize the team’s performance, at the very least it will get them thinking about what it means to take control of their own futures. If it’s not already obvious to those in leadership positions, your team will grow and develop with or without your input, but not in the way that helps satisfy any of the organization or product goals. If you have left a vacuum of opportunity then other things will start to fill that vacuum. The problem you face as a leader is that any team member that cares about personal and professional development will seek growth opportunities in a way that’s not aligned with the organization or even leave the organization to find support for their goals and dreams. Great talent won’t tolerate an unsupportive or silent leader. If you’re not having the career design conversation, then the vacuum left by that oversight will be filled by someone else’s plans or ambitions. The outcome of ignoring this type of conversation is almost always negative and losing good talent is often the worst case scenario for any leader. It’s worth noting that designing people’s careers is frequently the best way to ensure teams retain talent. You may have been led to believe that free lunches, ping-pong tables and beanbag chairs were the way to do that, but that’ll only get average talent in the door and it certainly won’t keep the great talent. More than anything else, people want to be challenged, recognized and respected. Sitting down to help your people design their careers is all about those things. Keep in mind, you’re not doing the career designing work for them, but you are providing guidance, support and mentorship where needed. We’ll dig into the type of questions product leaders should ask of their teams. As the product leader, your role in helping to design your team’s career is very similar to how your design your product. The starting point of designing careers is to discuss the person’s understanding of their value, their dreams and their vision for the future. Just like creating a great product, a clear, well-articulated persona and vision is a requirement for success. Clarifying your team member’s understanding of themselves — the persona — follows a similar path as the one you’d use for a product user. Having your team members eat their own dog food, or the more palatable, drink their own champagne and do this persona work on themselves is a great exercise in self awareness. Autonomy — Our desire to be self directed. Mastery — The urge to get better skills. Purpose — The desire to do something meaningful. The purpose part of this work provides a rock to which the activities that follow can be tethered. Don’t start career conversations with incremental improvements. As product leaders, we don’t start new product conversations with listing our feature requirements. To get started you need to know what the problem is that the person is solving with their career. Understanding this is key to knowing how someone builds the path to a solution, i.e. their career. What dreams and plans do you have for your life? What about these particular dreams and plans is interesting to you? What is the problem in the world you are working to solve right now? Why is this a problem worth solving for you? What does life look like several years into your career? When you were an eight-year-old, what did you spend your time doing? What made those activities attractive or interesting to you? Can you describe those activities in detail? How are those activities connected to your current work or career path? The last few questions are especially useful, because the activities that engage our young minds are often those that we have the greatest natural affinity for. Our favorite childhood games and activities are a great indicator of the things we’re attracted to throughout our lives, even when we’re all grown up. Designing, making, building and improving are just some of the qualities of play that might translate into a product team skill-set. For example, a child attracted to create, plan and build things from scratch using whatever they have at their disposal — Legos or other components — might become an adult who finds similar satisfaction in building products. Reminding the team of the things that got them excited in their childhood, might be the beacon for what they still want to do with their lives. Building a vision of your individual team member’s future isn’t always easy. It might take several conversations to reveal where their passions and skills intersect and for them to get clarity. A key component of building the vision for anybody’s career is that it’s disassociated from time, technology and trends. Having a vision that’s bound to the constraint of a technology platform is a problem because if that tech changes then their vision loses validity. For example, a vision that states “I see myself being the best mobile developer in the world by 2020,” is constrained to mobile technology and to a timeline that the person has little or no control over. As quickly as mobile technology arrived, it can be replaced with something else. That leaves the career vision with either a confusing end or no value. A better expression might be, “I see myself as the most awarded creator of tech products that leverage human’s natural mobility.” Removing the temporal deadline gives the vision space to come sooner or later than planned and, subsequently removes any stress associated with a timeline. This vision is also connected to something that’s consistent and valuable — human mobility. It’s also worth underlining that the idea of designing your career also applies to the product leader too. Use it on yourself. Ultimately a product leader’s success is the success of their teams. If their teams are growing and developing in positive ways, it reflects on the leader. If the team is stagnating and unchallenged, the leader is almost always to blame. One of the measures of success is what is being delivered. Mastering product management, design or development requires mastering a multitude of skills. There is no single degree or path that will teach your team all the skills they need in their role. This means the best product leaders focus on continuously developing their team’s skills. This is especially true when responding to the new ideas, requirements, or trends that will inevitably arise as your product and business develop. When it comes to hard skills the first step is considering whether your team needs these new skills in response to a tactical need or a strategic focus. “If it’s tactical,” Ellen Chisa, VP Product at Lola shares “such as figuring out the best way to instrument something you’re shipping next week then you’re just Googling, calling someone, figuring it out, it’s pretty simple. But if it’s strategic, say you’re at an early stage, you haven’t been thinking about revenue, and you don’t know how to do that, then that’s a very different problem. It’s really a spectrum for hard skills where you have to consider what are we trying to do here, what are we trying to learn, and what’s the most effective way to learn that going to be?” And everyone in your team learns differently, whether it’s just googling things or needing the structure of a formal course or class. Soft skills such as managing people, communicating clearly, and empathizing with other stakeholders or customers are by their very nature much much harder to teach. The soft skills are actually the hardest to learn. Maybe we should stop calling them soft skills.